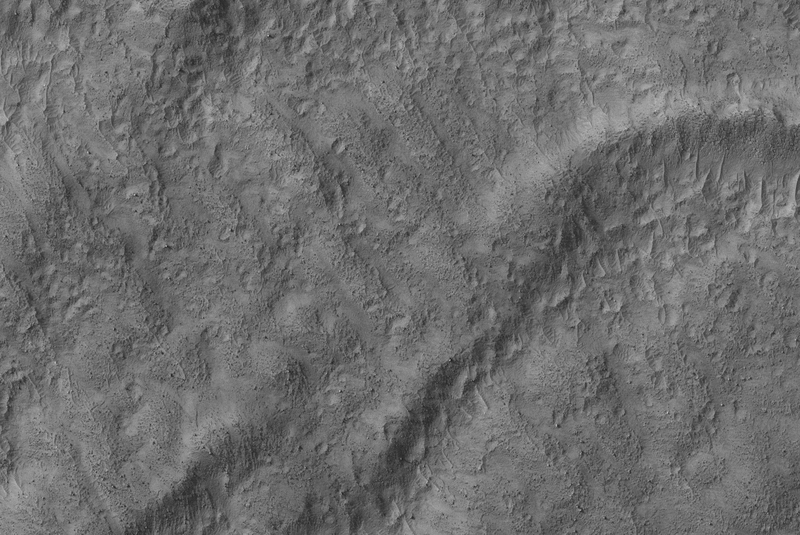 This HiRISE image ( PSP_002066_1425 ) shows gullies in a crater in the southern hemisphere. Gullies typically form when flowing water has sufficient energy to erode soil and soft rock in a channelized flow. The gullies in this image have narrow, overlapping channels and are deeply incised into the slope. 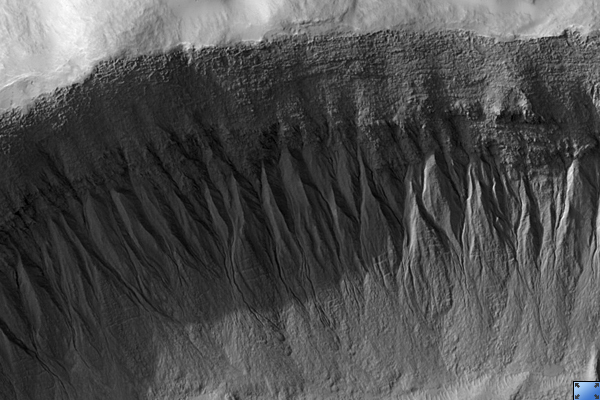 Overlapping channels may suggest multiple flow events on this slope wall. It is unknown what happened to the water that flowed in these gullies. Some of the water may have evaporated or gradually sublimated into the atmosphere or became incorporated as ice in the gully debris aprons located downslope at their termini. Sublimation is a process similar to evaporation except that solid ice (instead of liquid water) returns to the atmosphere as a gas. Sublimation is common on Mars because the temperature and pressure are so low on Mars today that liquid water is only rarely stable. 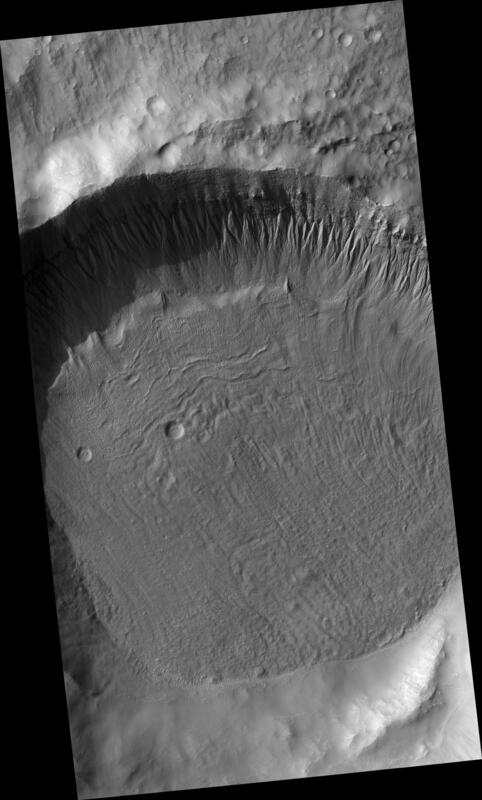 The crater floor is covered in boulders (see subimage , approximately 500 m across), dunes, and textured material. The boulders are likely a "sublimation lag" that provides evidence that material on the crater floor is, or once was, ice-rich. A sublimation lag forms when ice-rich material sublimates leaving the boulders and rocks behind. It is possible that the boulders on this crater floor represent such a process. The pitted texture around boulders may also be an indicator of ice sublimation.